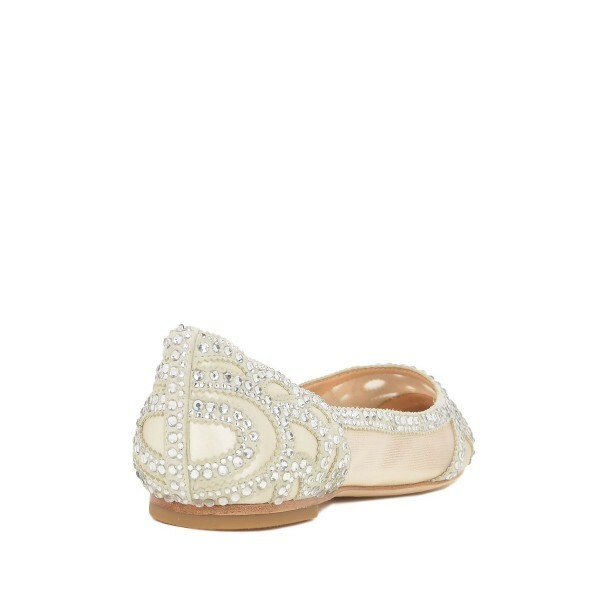 With shimmer rhinestone on the upper, this flats would be an eyes-catching icon for wedding.Material inside adopted with PU leather has a good breathable and absorbent function. These shoes are too die for. Great look, great price, fast shipping and are VERY comfortable. These shoes are nice. I love them so much and they are stylish. Very lightweight shoes and very comfortable. Ordered for my wedding. 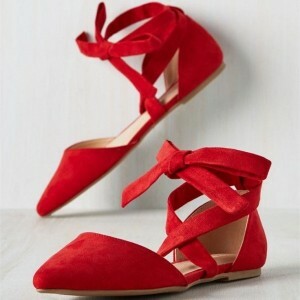 These shoes are gorgeous, come packaged well and fit fairly true to size. 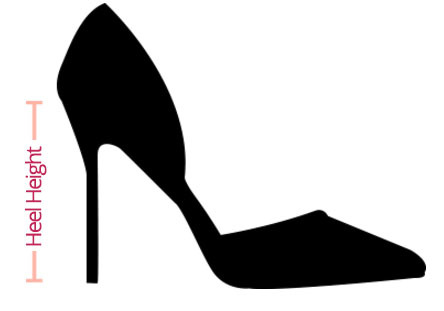 The shoes are beautiful and comfy! 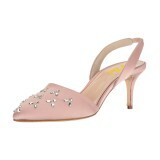 I choosed them because they are not only for wedding dress, but daily use. Highly recommended! In love!! So so so cute✨, comfy and just girly and pretty! I've had these awesome shoes for about 5 months now. 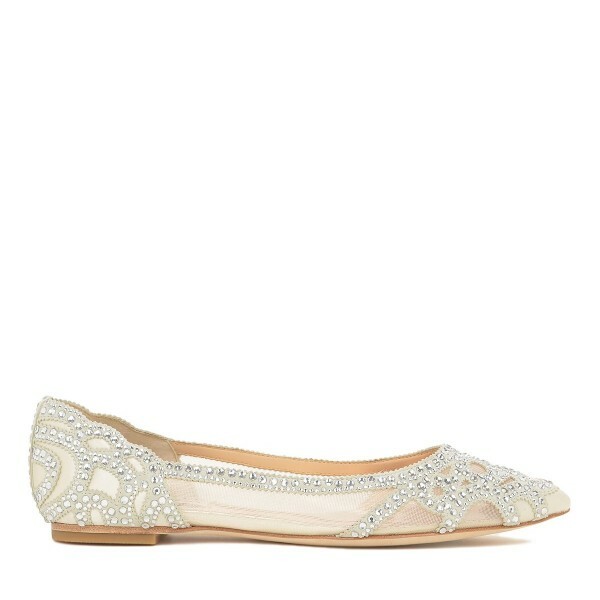 This cute sparkly little flat is honestly perfect. As soon as I saw it for the first time I knew I had gotten my money's worth. 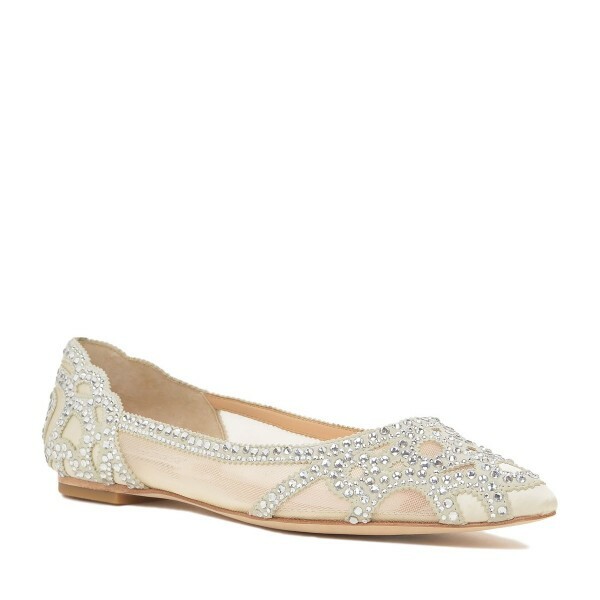 I love these gorgeous flats .very comfortable shoes . Beautiful i order white but its not exactly white a bit touch of silver but love it ... i give 4 star because i was expecting to be exactly white.. The shoes are more comfortable than I was expecting. They are super cute and I get compliments every time I wear them. Comfortable and nice looking.fit really well! I loved these shoes! I specifically did not want heals for my wedding day, and these fit perfectly and looked nice! I got some extra padding at the store to fit in the heels, and they were very comfortable. They also looked very nice with my wedding dress! Very pretty, but I'm usually between a 7 and 7.5, I got a 7.5 and they are VERY tight. Still wearable; but get uncomfortable quickly. May want to go half a size up. 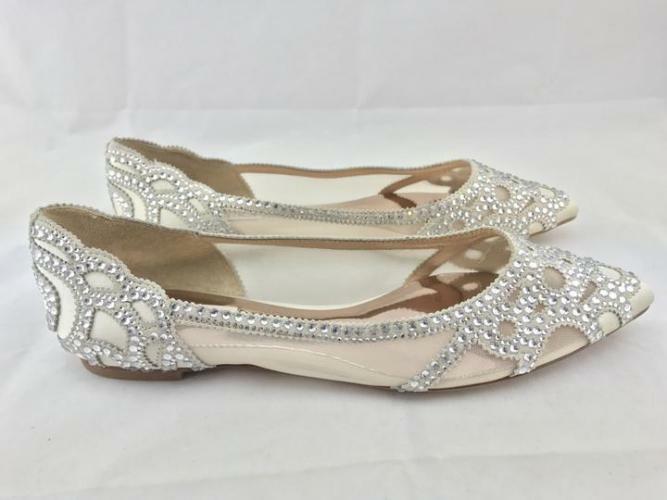 I've always had trouble finding wedding flats that fit. With that said I was nervous about buying a pair without trying them on first. However, I have to say I am pleasantly surprised with these shoes. Not only did they arrive early, but they also fit perfectly which was a surprise considering I have a wide foot. They are also cushiony for flats. 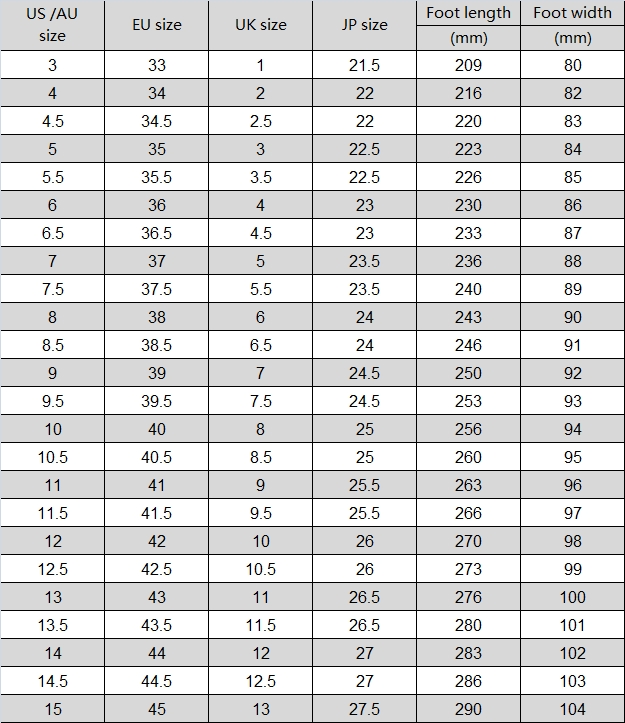 But as a side note if you wear a 9 or 9 1/2 I'd get a size 10. That's what I did and they fit great. Well, it's so soft and comfortable. I just feel walking like the wind. Great looking shoe and most importantly comfortable! 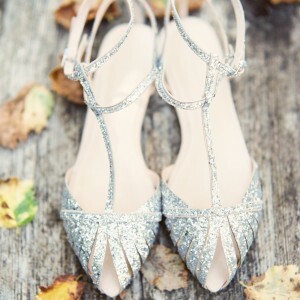 Pretty shoes! 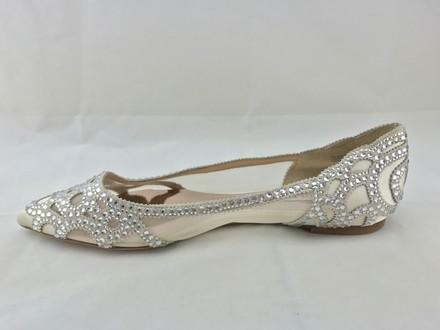 These shoes are very pretty, and well made. They were just slightly snug but will be fine once worn a bit. Good quality, and shipped fast.